Daniel is passionate about achieving great results for his clients. He regularly represents clients in business and estate planning matters, including business formation and transactions, real estate transactions, private issuance’s of securities, mergers and acquisitions, federal and state securities law, FINRA regulatory matters, governance issues and contract negotiations. Daniel especially enjoys representing and assisting startups with strategic issues in addition to providing legal advice. Daniel graduated from the Texas A&M University School of Law (formerly Texas Wesleyan University School of Law), where he served as an officer of the Board of Advocates, was on the Dean’s honor roll, and was awarded numerous advocacy awards, including being part of the ABA National Negotiation championship team in 2011. Prior to law school, Daniel received an MBA and BSBA from the Naveen Jindal School of Management at the University of Texas at Dallas, where he served as Vice President of the MBA Society. Daniel has previously served in leadership roles for various registered broker dealers and members of the Financial Industry Regulatory Authority (“FINRA”), including as the Vice President of Compliance for Realty Capital Partners, a real estate private equity firm with over $350 million of invested capital. Daniel also spent several years as an examiner for FINRA. While at FINRA, he was awarded with the Outstanding Achievement Award, one of FINRA’s highest honors, for his dedication to and furtherance of FINRA’s stated objectives of protecting investors and ensuring market integrity. 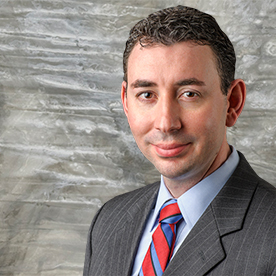 Daniel is a member of the State Bar of Texas (Real Estate, Probate, and Trusts and Business Law Sections), the Dallas Bar Association, and the Dallas Association of Young Lawyers.